Eindhoven University of Technology was officially founded in 1957 as the Technische Hogeschool Eindhoven and gained university status in 1986. The TU/e plays a central role in the academic, economic and social life of the country. The university maintains relations with institutions far beyond the Netherlands and take an active part in national and international events. The university is in an area where several companies active in technology are doing their research, like Philips, ASML and DAF. The university maintains close contacts with most of these companies. The university's location is surrounded by a green oasis in the heart of Eindhoven. This is attributable to more than the park features alone. The architect S.J. van Embden was there from birth, creating a unique complex of buildings connected by footbridges enabling the various fields to be linked. This multidisciplinary character is still a key TU/e feature. In 2015 TU/e was ranked 49th for engineering in the ARWU ranking of the best universities worldwide. Among notable alumni of Eindhoven are Marijn Dekkers, Chairman of the Board of Management of Bayer AG, Gerard Kleisterlee, Chairman of Vodafone, Kees Schouhamer Immink, scientist and co-inventor of the compact disc. 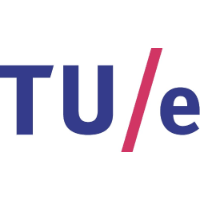 The Eindhoven University of Technology is a research university specializing in engineering science and technology, and offers science degrees at undergraduate, postgraduate and doctoral level. The Eindhoven University of Technology is situated in Netherlands. TU/e main campus is at some eight minutes walking distance from Eindhoven railway station. This makes it easy to come by public transport. Eindhoven airport is five kilometres outside the city and there is a shuttle bus between the airport and railway station. Most university buildings are connected by walkways.